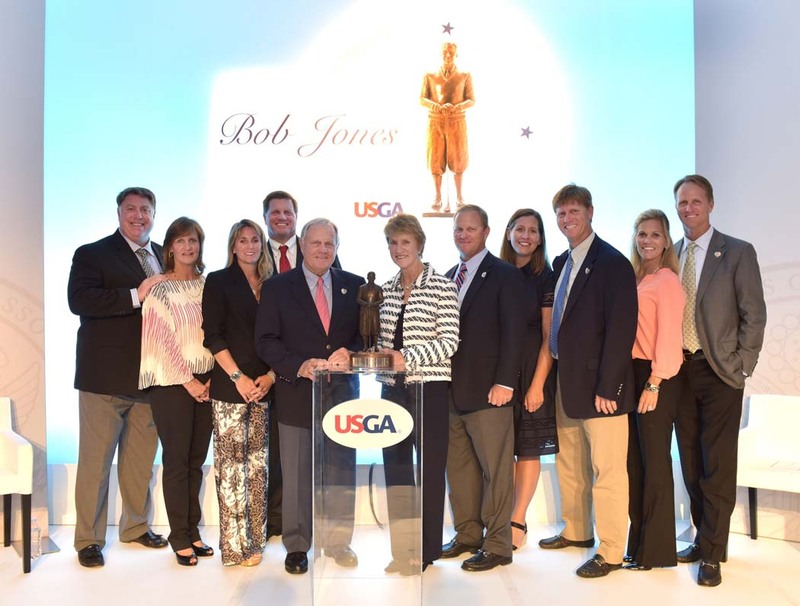 The United States Golf Association (USGA) presented Barbara Nicklaus with the 2015 Bob Jones Award at a ceremony in Tacoma, Wash., on June 16. Presented annually since 1955, the Bob Jones Award is the USGA’s highest honor. It recognizes an individual who demonstrates the spirit, personal character and respect for the game exhibited by Jones, winner of nine USGA championships. Several members of the Nicklaus family were present to celebrate during an evening which honored Barbara and recognized her contributions to the game of golf. Often referred to as the “First Lady of Golf,” Mrs. Nicklaus has skillfully used her influence as Jack Nicklaus’ wife for nearly 55 years to generate attention for youth-related charitable causes and volunteerism. Husband and record-holding 18-time major champion Jack Nicklaus received the award in 1975, making the Nicklauses the first married couple to independently receive the accolade in USGA history.